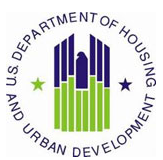 HUD permits Public Housing Agencies to establish local preferences , and to give priority to serving families that meet those criteria. Madison County Housing Authority (MCHA) has established the following admission preferences . Each preference will receive an allocation of points . The more preference points an applicant has, the higher the applicant’s place on the waiting list. Applicants with an equal amount of points will be selected on a first come first serve basis according to the date and the time their application is received. Applies only to Collinsville Commons Apartments. Need is documented by a locus Score between 7 and 27 points. * Additional information on qualifications for the involuntary displacement preference is available in the Administrative Plan and Admissions and Continued Occupancy Policy posted at the Central Office. 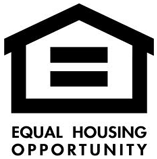 John Hamm III Apartments, Tyrone Echols Apartments, and Market Street Homes also gives preference to applicants falling under certain preference types . Each condition will receive an allocation of points . The more preference points an applicant receives, the higher the applicant’s place on the waiting list. Displaced from an urban renewal area Urban renewal is a program of land redevelopment in areas of moderate to high density urban land use. Urban renewal may involve relocation of businesses, the demolition of structures, the relocation of people, and the use of eminent domain (government purchase of property for public use) as a legal instrument to take private property for city-initiated development projects. Displaced as a result of a government action For example, city condemns rental property through resolution, tenants are forced to find alternative housing, and housing is demolished.